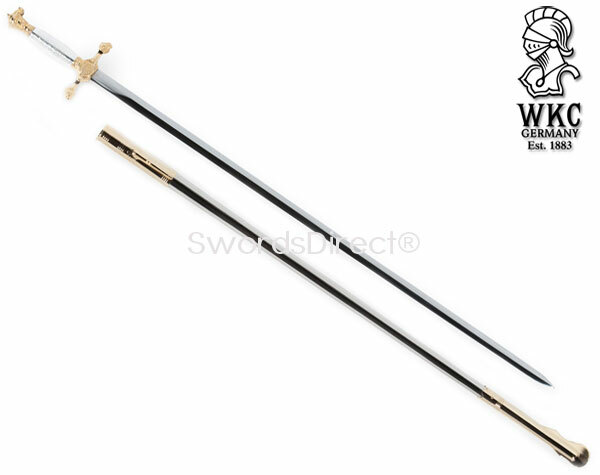 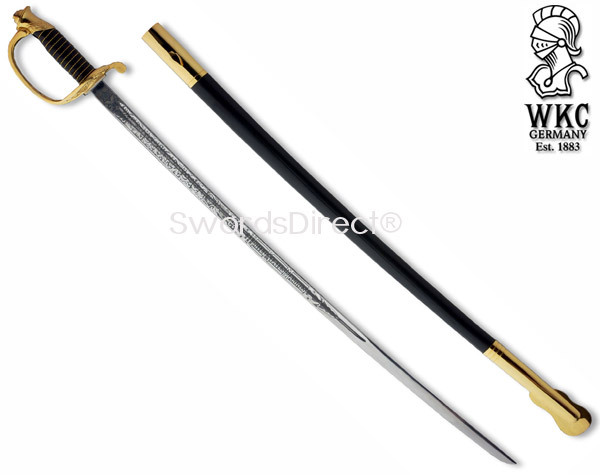 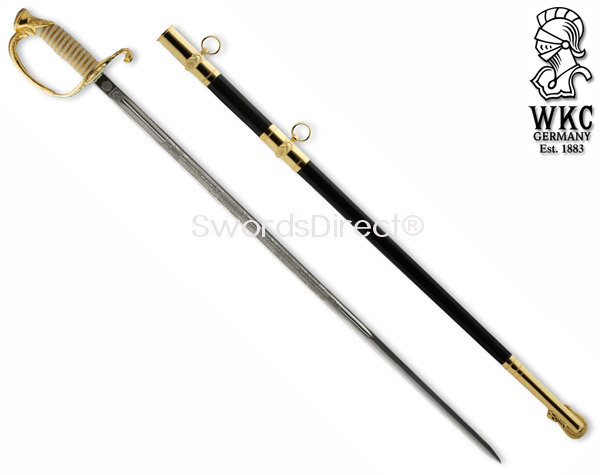 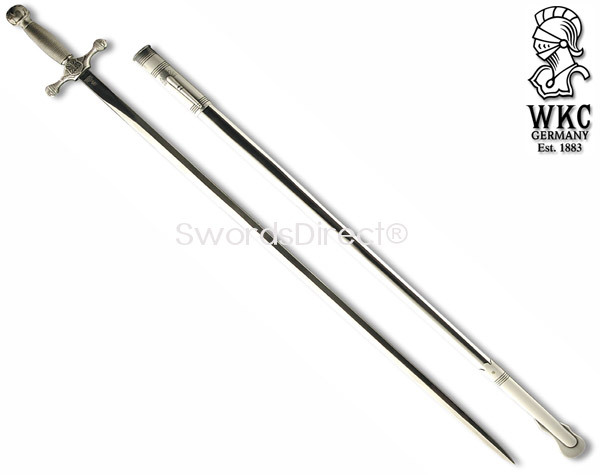 WKC US Army NCO Swords have the Model 1840 design and are built to strict military regulations. 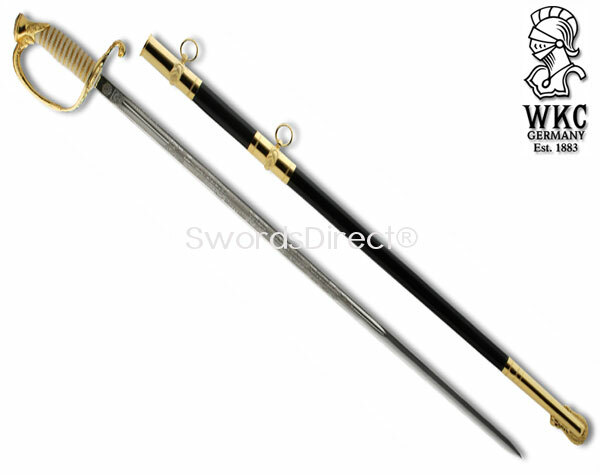 These swords have an unsharpened blade and are ideal for drills, ceremonies, retirement presentations and display. 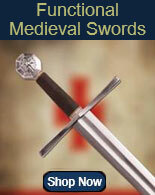 They are handmade in Solingen, Germany and have a forged stainless steel blade that is hardened to 48-52 HRC. 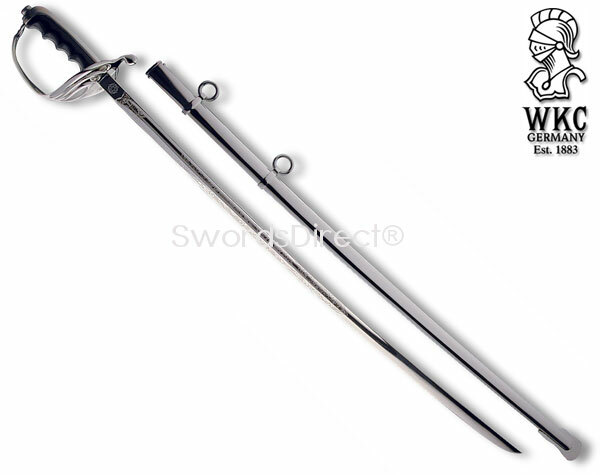 The straight blade is well-tempered and hand polished. 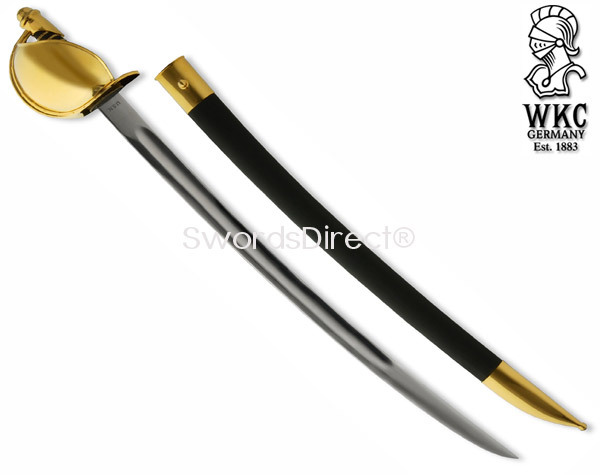 The cast brass guard features hand polished 24kt gold plate. 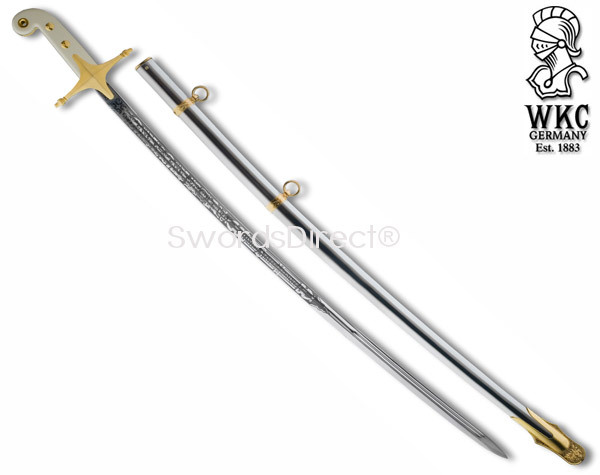 The grip features silver plated brass wire. 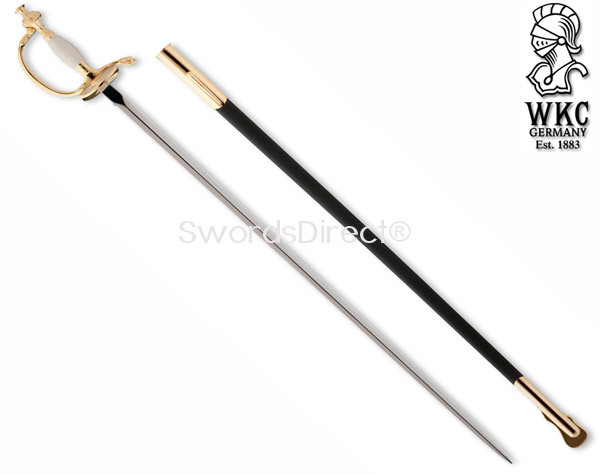 The flexible scabbard is covered in black leather and accented with 24kt gold plated brass mountings. 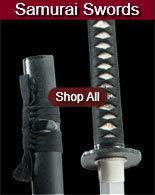 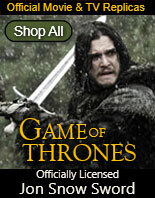 These swords include a protective cloth storage bag. 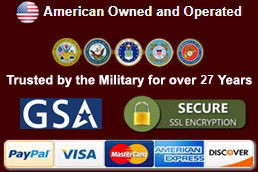 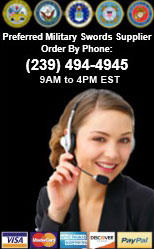 Buy the WKC US Army NCO for $429.99.